Central Board of Secondary Education has announced UGC NET Result Nov 2017 through its official website cbseresuts.nic.in. Candidates can get their CBSE UGC NET Result Nov 2017 at cbseresults.nic.in by entering their following details: Application Number, Roll Number, and Date of Birth. Earlier it was being said that CBSE UGC NET Result Nov 2017 will be declared in the second week of January 2018. CBSE conducted UGC NET Exam on 5th of November, 2017. The answer sheet for the same is also available on the official website of the board. Certificates will be issued on the behalf of UGC Net Bureau to the successful candidates. For this, the head of the UGC Net Bureau can be contacted. This time the CBSE conducted the NET examination on behalf of the UGC. Every year UGC NET examination is organized twice for the qualification of Assistant Professor or Junior Research Fellowship. 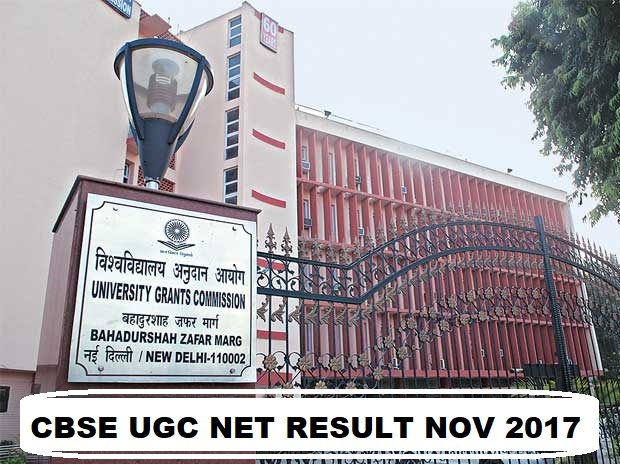 Do not forget to take a print out of your UGC NET result. If you have any query, write it down in the comment box. We will get back to you as soon as possible.